We're moving Declan to a daycare center at our churce a few blocks away. 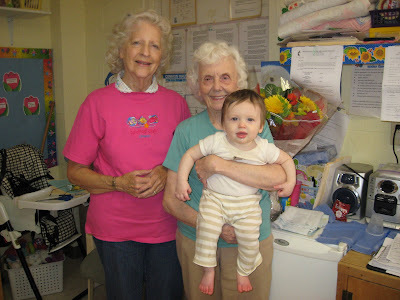 We think he'll love the new place, but it was very hard to say goodbye to his teachers Ms Ramona and Ms Margaret. They have taken such great care of him. 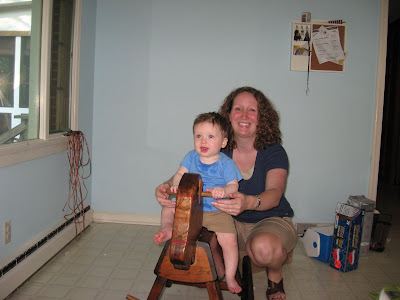 The rocking horse was sent by Grandma Johnson and belonged to Don as a little boy. I'm sure Dex will have a ball with it. Our family lives in Atlanta, GA and we created this blog so our friends and family can keep in touch and watch our boys, Declan and Tate, grow! 10 months, 10/29/08 - First Steps! !